One of the most confusing issues when upgrading to a DSLR is understanding the difference between full frame and cropped frame cameras. When you're using a compact camera, this won't be an aspect that you really need to deal with, as the built-in lenses are designed to make the differences unnoticeable. But when you start to look into buying a DSLR, understanding the full frame vs. crop sensor comparison will vastly help you. Back in the days of film photography, there was only one sensor size in 35mm photography: 24mm x 36mm. So when people refer to "full frame" cameras in digital photography, they're discussing 24x36 sensor size. Unfortunately, full frame cameras also tend to come with a hefty price tag. The cheapest full frame Canon camera, for instance, is a few thousand dollars. Most full-frame cameras are used by professional photographers, who need the extra features. The alternatives are "cropped frame" cameras, or "crop sensor" cameras. These have a much cheaper price tag, which makes them much more attractive to those starting out with DSLRs. A cropped frame or sensor is similar to taking the middle of the image and discarding the outside edges. So essentially, you're left with a slightly thinner image than normal — similar in shape to the short-lived APS film format. In fact, Canon, Pentax, and Sony usually refer to their cropped sensors as "APS-C" cameras. Just to confuse matters though, Nikon does things differently. Nikon's full-frame cameras go under the moniker of "FX," while its cropped frame cameras are known as "DX." Finally, Olympus and Panasonic/Leica use a slightly different cropped format known as the Four Thirds system. The crop of the sensor varies a little between manufacturers as well. Most manufacturers' crop is smaller than a full frame sensor by a 1.6 ratio. However, Nikon's ratio is 1.5 and Olympus' ratio is 2. Here's where the differences between full and cropped frame really come into play. With the purchase of a DSLR camera comes the opportunity to buy a whole host of lenses (given your budget). If you come from a film camera background, you might already have a host of interchangeable lenses laying about. But, when using a cropped sensor camera, you'll need to remember that the focal length of these lenses will be changed. For instance, with Canon cameras, you'll need to multiply the focal length by 1.6, as mentioned above. So, a 50mm standard lens will become an 80mm. This can be a huge advantage when it comes to telephoto lenses, as you'll gain free millimeters, but the flip side is that wide-angle lenses will become standard lenses. Manufacturers have come up with solutions to this problem. For Canon and Nikon, who both produce full frame cameras, the answer has been to produce a range of lenses specifically designed for digital cameras — the EF-S range for Canon and the DX range for Nikon. These lenses include much wider-angle lenses which, when magnified, still allow for a wide angle of view. For instance, both manufacturers produce a zoom lens that starts at 10mm, thus giving an actual focal length of 16mm, which is still an extremely wide-angle lens. And these lenses have also been designed to minimize distortion and vignetting on the edges of the image. It's also the same story with those manufacturers who are producing exclusively cropped sensor cameras, as their lenses have all been designed to run alongside these camera systems. Is There a Difference Between the Types of Lenses? There is a difference between the lenses, particularly if you buy into either the Canon or Nikon systems. And these two manufacturers offer the widest range of cameras and lenses, so it's highly likely that you'll invest in one of them. While the digital lenses are very competitively priced, the quality of the optics just isn't quite as good as the original film lenses. If you're just looking to use your camera for basic photography, then you probably won't notice the difference. But, if you're looking to get serious about your photography, then it's worth investing in the original range of lenses. It should also be noted that Canon's EF-S lenses won't work at all on the company's full-frame cameras. The Nikon DX lenses will work on its full frame cameras, but there will be a loss of resolution from doing so. Full frame cameras obviously give you the ability to use lenses at their normal focal lengths, and they particularly shine in their ability to cope with shooting at higher ISOs. If you shoot a lot in natural and low light, then you'll undoubtedly find this useful. Those who shoot landscapes and architectural photography will also want to check out full frame options as the image quality and wide-angle lens quality is still far ahead. For nature, wildlife, and sports enthusiasts, a cropped sensor will actually make more sense. 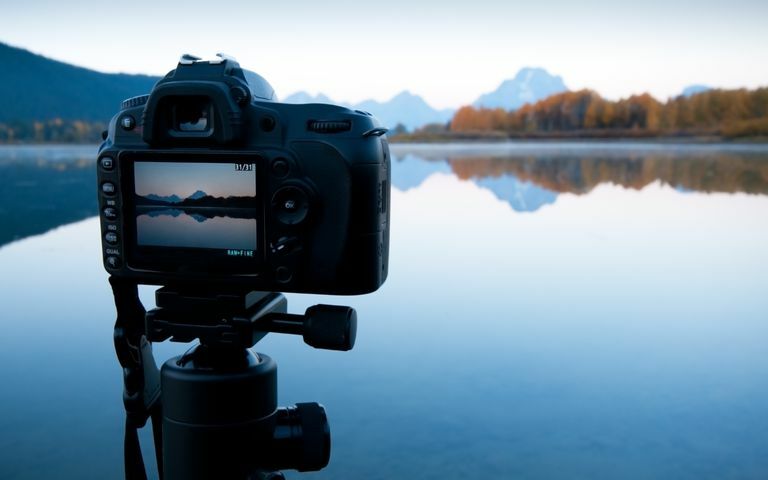 You can take advantage of the increased focal length offered by the various magnifications and these cameras generally have a fast continuous shot speed. And, while you'll have to calculate focal lengths, you'll maintain the original aperture of the lens. So, if you have a fixed 50mm lens which is f2.8, then it will maintain this aperture even with the magnification to 80mm. Both formats have their merits. Full frame cameras are larger, heavier, and far more expensive. They have a multitude of benefits for professionals, but most people won't really need these features. Don't be fooled by a salesperson who tells you that you need an overly expensive camera. As long as you bear these few simple tips in mind, you should be well informed to make the right choice for your needs.